Mobile Marketing in Charleston and throughout the country, is said to be the latest “trend” in marketing for businesses both small and large. Trend? Really?… does anyone saying that really think mobile phones are going away any time soon? 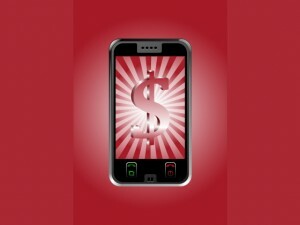 From my perspective, mobile marketing is here to stay. Do you remember when many businesses wondered whether they should have a website? Well that decision making time is here again and you don’t want to wait too long and allow your competitors to get a jump on you. As of December 2010, 96% of the US Population owns a mobile device. 98% of all mobile phones can send and receive text messages and 72% use text messaging daily. That is more than the percentage of people who watch TV daily. 82% of people do not leave home without their mobile phones. As a matter of fact, I’ll turn around and go back for mine. Do you? 98% of text messages are opened. The majority of those messages are opened within 3 minutes of receiving the message. The average message stays on the mobile device for 12 days. In what other type of advertising can you get that many additional exposures per ad spend? 67% of people want to recieve messages and alerts from companies they do business with. 59% said they are willing to trade their mobile number for coupons. Almost everyone likes to save money. Digital coupons on mobile devices have a 20 times greater rate of redemption. It’s so easy, no cutting out coupons and then remembering to bring it with you. Further, the strength of an individual’s relationship with their mobile phone is unique. This puts local businesses in a unique position in which to interact with their customers. If you would like to learn more or you would like to discuss whether mobile marketing is right for your business, call us for a free consultation. In Charleston, contact us at 843-647-0489 and outside of Charleston call toll free 866-945-9707 .